Can losers find love? Southwest desert radio station K-RAP is struggling to pay the bills when suave radio jock Jack Proctor (Beau Clark) zooms through Coyote County on his way to LA to take the gig of a lifetime. When the deal stalls, Jack temps on-air for small town K-RAP. 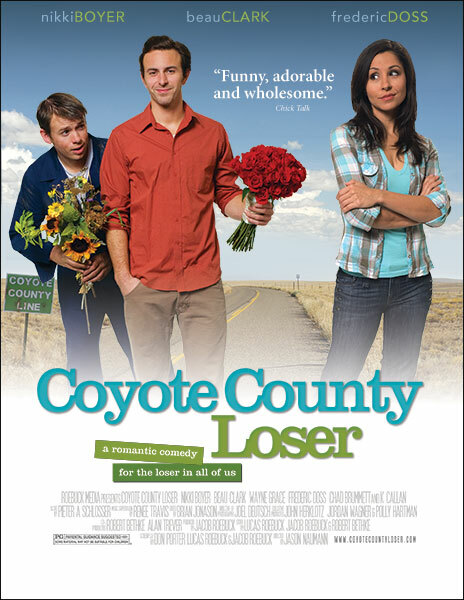 Dr. Lauren Hartford (Nikki Boyer), local on-air relationship expert, gets under Jack’s skin by questioning his love advice and prompts him to initiate a high-stakes contest to find Coyote County’s biggest loser and help him woo the county’s most unattainable woman. Before this battle of the sexes is over, Jack and Lauren learn that love is for losers after all. Available on DVD, High-Def Blu-ray, Amazon Prime, Netflix and iTunes digital download.